With the countdown clock officially ticking down to opening day, Mount Washington Alpine Resort is gearing up for what promises to be another amazing season on the slopes. If loads of snow, crisp air and a free season pass appeal to you, the mountain might be your prime spot for a job during the 2010/2011 season. In fact, this is only a handful of perks up for grabs! With over 800 jobs during the winter season, Mount Washington has a lot of positions to fill and is holding one massive job fair this weekend. Being that Mount Washington is an active-focused resort with a wide range of activities and facilities, there are positions and needs to suit almost anyone. 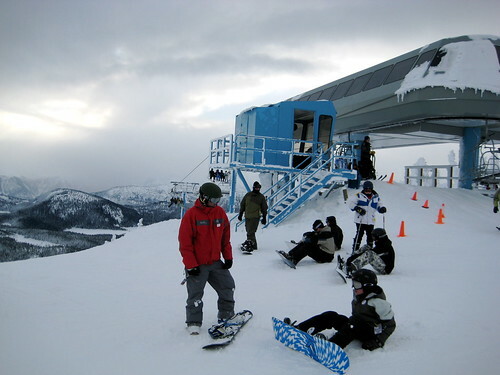 Some of these include food and beverage, snow school, retail, the O-Zone tubing park and mountain operations such as lift attendants. More information on these and other positions can be found online. Bring your resume and enthusiasm to the Whiskey Jack conference room in the Alpine Lodge this Saturday, November 6th. The hiring fair runs from 10:00 a.m. until 3:00 p.m. and it’s a one-time shot, so don’t miss out! Can’t wait for the skiing season to start. Some of my friends already went skiing couple weekends ago in the backcountry. Looking forward to the season.